If you are picky about your mattress and are struggling to find a product that matches your wish list, or if you share a bed and your partner has different sleeping needs and preferences, consider the Helix mattress. The Helix mattress is ideal for all sleeping positions and individuals with very specific sleeping needs. The customization capabilities ensure you get a mattress with all the features that matter most to you, and the split design is an excellent feature if you sleep with a partner each night. Helix mattress is made from foam and coils, you can customize the mattress to meet you specific sleeping needs. Unfortunately, many users of this mattress claim it retains heat and it lacks support for heavier individuals. The Helix mattress has something to offer sleepers in all sleeping positions though. 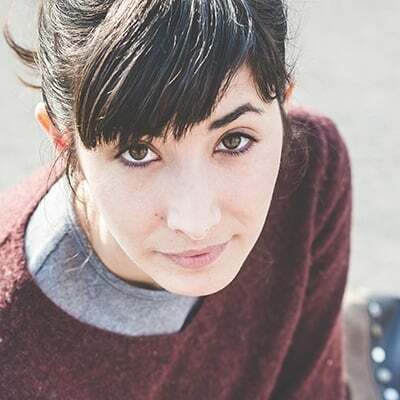 Read on to learn more about this unique mattress. 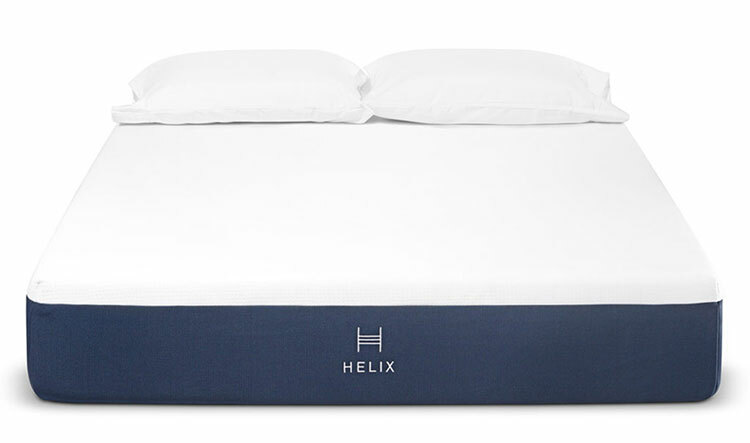 The Helix mattress is made from Helix Dynamic Foam, polyfoam and pocketed coils. It stands out from competing products due to its customization options. You can customize this mattress to best address your body type and weight, favorite sleeping position, cooling needs, firmness preference and any medical issues. When choosing your firmness preference, the Helix offers a wide range of options, letting you choose a mattress as soft as a 3 out of 10 or as firm as a 9 out of 10. However, even though you can state your firmness preference, many users state they still had to add a mattress topper to improve its comfort. When customizing this product, you can choose between a cool or milder mattress. The mattress does boast a thin cover that helps hot air escape and keeps the mattress cool. But despite choosing a cool preference, many users say the mattress sleeps hot and retains an excess amount of heat. The Helix mattress is new to the market, so the lifespan of this mattress is not fully determined. Mattresses made from similar materials and construction usually last an average of six years. You don’t want off-gassing: Don’t worry about unpleasant smells that make sleeping on the mattress unbearable. Only a small handful of users report a poor odor coming from this mattress and many say that it goes away within hours. You sleep with a partner: Not only does the Helix offer excellent motion isolation, but you can also customize a “split” mattress. This means you and your partner can each customize your own side of the mattress. You can choose different firmness levels, temperature options and even support, all within the exact same mattress. You want a great value: The Helix offers a competitive price and is less expensive than many similar products on the market. Plus, you get to customize your own product, so you get exactly what you want without paying a fortune for it. You don’t want to wait to sleep on it: It takes only 45 minutes for this mattress to expand before you can sleep on it. Similar products can take several days before the company recommends spending the night on it. Firmness and Support: The level of firmness you need depends on your preferences and sleeping position. Side sleepers need a soft mattress, while back sleepers need a mattress that is medium-firm. Stomach sleepers should look for a firm mattress to keep their body afloat and their spine properly aligned. Construction: Memory foam mattresses conform to your body and help distribute weight to your stronger joints. Innerspring mattresses provide plenty of bounce and sleep cooler. However, if looking for an innerspring mattress, consider mattresses with more coils as they provide more support and comfort. Durability: A good mattress should last a minimum of 8 years. It should be made using high-quality materials and hold up well after extensive use. Read through customer reviews to ensure the mattress you are considering offers a long lifespan, particularly if it will be used every night. Temperature Regulation: Some mattresses — particularly memory foam mattresses — sleep hot. Consider mattresses with cooling properties such as gel foam, innerspring coils, breathable fabrics or other materials to help keep mattresses cool and allow hot air to disperse from the body. Pressure Relief: Look for mattresses that redistribute weight and place it on your stronger joints. When mattresses provide proper support, you will wake up with fewer aches and pains related to sleeping. Warranty: Many mattresses are covered under a 10-year manufacturer warranty. However, the best products are covered for 20 years or longer. Avoid mattresses with shorter warranties as this is a sign the company does not offer a product with a long lifespan. Q: Should I flip or rotate my mattress? You should not flip the Helix mattress as it is designed with a specific bottom and top layer. Also, you do not need to rotate the mattress, but it is advisable if you wish to preserve its lifespan. Keep in mind if you have a split design product, you and your partner will end up switching sides of the bed when rotating the mattress. Q: Does this mattress work on an adjustable base? Yes, it does. The Helix will work on most bed foundations. Q: Do they offer free shipping? Shipping is free within the United States. Canadian orders will incur a $150 shipping fee and customs tax. The Helix currently cannot be shipped overseas. To ensure you are completely satisfied with the Helix, you have 100 nights to test the mattress. If you aren’t happy with the product, you can return it for a full refund. To get exactly what you want in a mattress, without draining your savings, the Helix mattress is worth a try.